Furry Friends is Proud to Announce Our Partnership with Core Paws! “Hard-to-place animals are easy to love” is the guiding principle of Core Paws, a 501(c)(3) nonprofit that helps find forever homes for pets. Core Paws is helping us place cats that are left behind (e.g., special needs, behavioral issues, seniors). Core Paws does this by showcasing these animals, like our 9-year-old Ocelot, on their website. We are hopeful that exposure on the Core Paws website will make her dreams come true. I’m Ocelot—a small, colorful bundle, weighing in at only 5.6 pounds! Feisty and athletic, I will bound over to brush against you for some petting. I’m super friendly with people and will hop onto your lap for some loving. Once I’ve had my full of being pet, I’ll let you know with a bite, so you’ll need to keep your attention on me. I really don’t know any better, so my caretakers are in the process of teaching me to communicate more gently. I love to play with wand toys and climb to the top of the cat tree. A window or catio keep me entertained, as well. For a time I lived with a number of dominant cats and as a result, learned some dominant behavior. 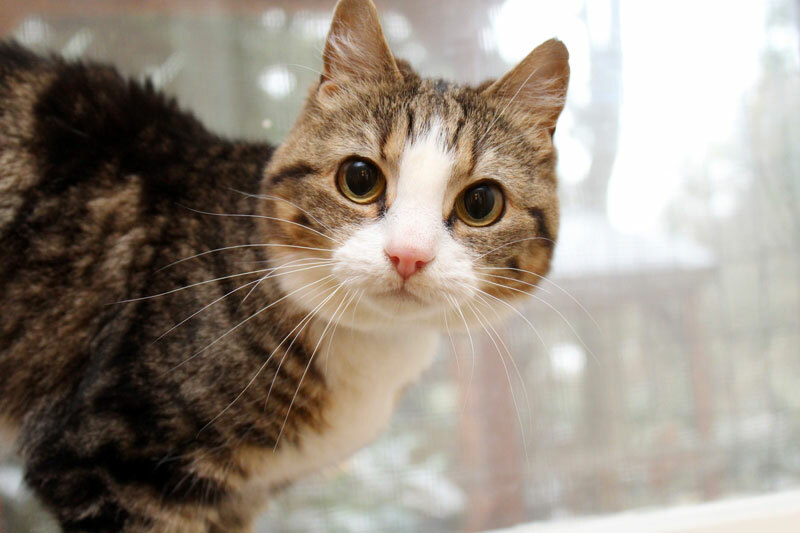 I will instigate fights with other cats, so I need to be the only kitty in my forever home. I get along OK with dogs, however.